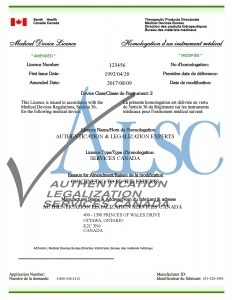 As a recognized agent with Health Canada we have assisted many of our clients with obtaining their Medical Device Certificates and Licences for use outside Canada in such countries as Mexico, Panama, Brazil, China ask us about your country. To find out more about the application process see Health Canada. Once obtained it can begin the process of authentication & legalization. 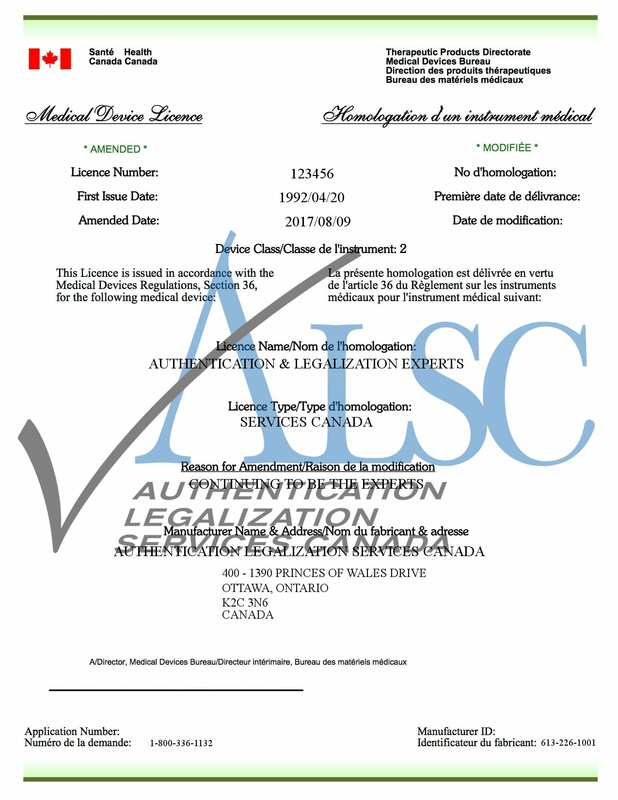 As Health Canada has strict rules as to the re-issuing of these documents, and in most cases our clients want to retain the originals on file, we produce a notarized copy using our in house notary services. Once made into a notarized copy it is ready for authentication with Global Affairs Canada and then legalization at Embassy of Mexico all located here in Ottawa. Once it has followed this two step process it will be the equivalent to an Apostille Certificate outside Canada. Global Affairs Canada Authentication Services Section takes 25 business days to process a request if dealing with them by mail or courier. If there is any problem or they cannot read the signature it can add weeks t the process but we have a quick solution. Our 1, 3, 10 day document authentication serves guarantees your time line for completion.